Desserts are sure to pep up every diner’s spirit at the end of the meal. While Indian sweets like halwa and sheera can be made without dairy products more comfortably for those experiencing lactose intolerance, desserts like cake, pudding and cookies remain a bigger culinary challenge. The best thing is to learn the art of substitution. So here’s how you choose your ingredient wisely to whip up a lactose free dessert. Colorful veggies, dried herbs, chilli flakes, olive oil and fresh herbs, all can be added as per your choice and liking though. 5 Foods to have for a Lactose Free Dairy Free Desserts. Use them with a cereal like Oats to make Healthy No Bake Cookies or with Almonds and Coconut to make Almond Berry and Coconut Cake or pair it flours to bake a Lactose Free Chocolate Cookie. Well to please the palate of sweet indulgers looking for an Indian dessert, we have also included Pear Rabdi with Oats Milk. Everything about these desserts – the texture, the taste and soothing aroma – is very appealing. 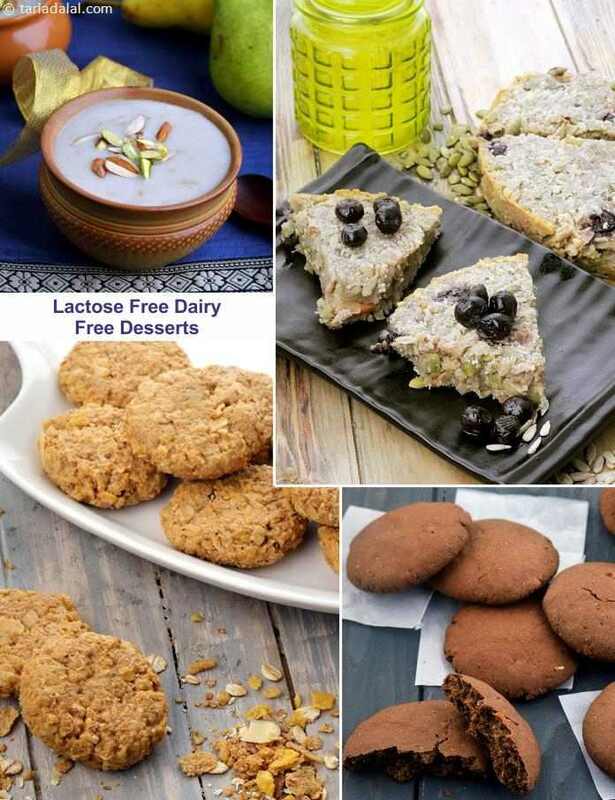 Make and enjoy these lactose free desserts on occasions with your friends while they enjoy their dairy laden desserts. Other related articles which will interest you.